As cytopathologists and cytotechnologists, we see farther, deeper and with more detail than most individuals. Through our special vision, we have dramatically improved prevention of cervical cancer and changed cervical cancer risk within entire nations. We improve lives every day by making diagnoses of disease — including cancers of all type — safer, earlier, and more accessible and accurate. Our achievements as a profession today are thanks to the giants in our field who preceded us, defined our discipline, established our Society, and educated and mentored the next generation. The ASC holds mentors in special regard since mentorship is a core value of our Society. 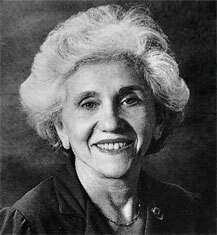 On August 16th, the cytopathology community lost one of the pioneers of our field and a founder of our Society who was also a mentor to me: Irena Koprowska, MD, who died in Philadelphia at age 95. A recipient of the Papanicolaou Award, our Society’s highest honor, Dr. Koprowska was herself a mentee and colleague of Dr. George Papanicolaou, inventor of the Pap test and namesake of the Award. 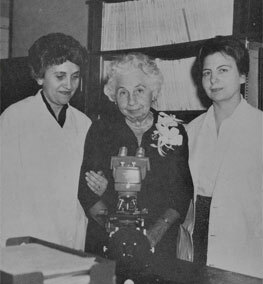 While working with Dr. Papanicolaou at Cornell University’s Medical Center in New York, Dr. Koprowska published one of the earliest reports on cytologic detection of lung cancer in addition to over 100 original articles on cytologic detection of cancer in a variety of anatomic sites. Her long academic career included faculty appointments at Hahnemann (now Drexel) University and Temple University’s Medical Schools where she educated many cytopathologists and cytotechnologists. I was among the last group of pathologists trained by Dr. Koprowska. I was a resident at Temple University Hospital from 1981-85; and it seems like just yesterday that I was reviewing Pap tests at the resident microscope, which sat immediately outside her office door. She’d share stories of her experiences from the early days of cytology and about her work with Dr. Papanicolaou so that I always felt directly connected to the history of cytology — like a form of apostolic succession from Papanicolaou to Koprowska to me. As a resident, I published my first papers in cytology with Dr. Koprowska, as well as my first poster and platform presentations at the ASC Annual Scientific Meeting, allowing me to contribute a bit to history myself. Hybridoma technology had been discovered in 1975 and enabled a revolution in diagnostic pathology through the production of monoclonal antibodies (MAbs) that just kept gaining in momentum during my residency. This was long before MAbs were commercially available — new antibodies were continually appearing, and no one knew how meaningful these were or how prevalent tumor staining might be. There were also no antigen-retrieval techniques for formalin-fixed paraffin-embedded tissue, so alcohol-fixed cytology smears were an excellent and easy preparation for the testing of new antibodies – plus fertile ground for a resident project. Since Dr. Koprowska’s husband was director of the Wistar Institute, we had access to newly developed gastrointestinal monoclonal antibodies grown in mice at the Wistar, CA29-10 and 19-9, both of which are commercially available today. Our work was often slow since we had to wait for the mice to produce enough ascites material in order to obtain the antibodies, and we had to work out dilutions to optimize the staining since every batch of supernatant was different. I even did the immunohistochemical staining by hand myself – no automated IHC stainers then either! When we published our work in 1987 (Acta Cytol. 1987 Nov-Dec;31(6):802-6), little did we realize that immunohistochemistry would become the bread-and-butter diagnostic technique that it is today. My resident research experience using a developing technology under Dr. Koprowska’s mentorship has left me with a lasting impression on how important it is to include trainees in research, and particularly to involve them in emerging technologies and trends. Being directly involved with innovations that influence the future of our practice helps truly prepare the next generation of our discipline for the long haul of their career. This is why I am so pleased that the ASC supports research grants for young investigators and that we have strong and plentiful paper and poster presentations to share the work that our membership is pursuing. The ASC has grown in women members and leaders since our founding days with much thanks to trailblazers like Dr. Koprowska who encouraged me and other women to join the Society and helped us get involved. Widely recognized as a pioneer among women in medicine and as a mentor to many women in cytopathology, Dr. Koprowska is featured on the National Institute of Health’s Web site “Changing the Face of Medicine,” which celebrates America’s women physicians. 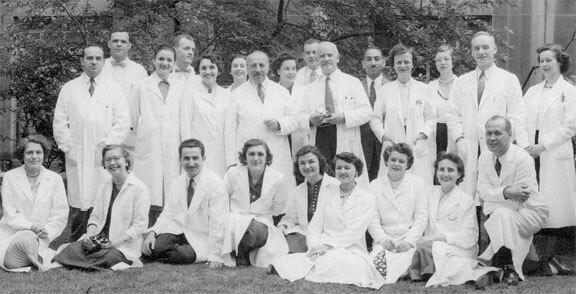 (http://www.nlm.nih.gov/changingthefaceofmedicine/physicians/biography_187.html). 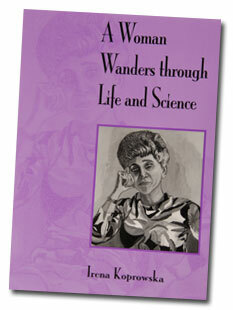 She also shared the story of her life and remarkable career in her autobiography, “A Woman Wanders Through Life and Science.” Dr. Koprowska and her husband, medical school classmate Hilary Koprowski, escaped their native Poland with medical diplomas that were hand-written by a University of Warsaw faculty member as the Nazi army began their invasion of that city. Like many women, she followed her husband as he moved frequently to advance his career, but Dr. Koprowska was able to create her own successes, too. She became the first woman promoted to full professor at Hahnemann University in 1964 where she also served as the director of Hahnemann’s School of Cytotechnology. In 1970, she joined the faculty of Temple University School of Medicine where she served as their esteemed Director of Cytology until her retirement in 1987. She raised two sons, and always served as an excellent role model for “doing it all,” which I reflected on as I raised my two daughters and grew my career. Dr. Koprowska encouraged my fellowship training with another cytopathology trailblazer, Dr. Tilde Kline, a pioneer of fine needle aspiration. Since finishing my residency training, Dr. Koprowska and I always exchanged Christmas cards. Each year I looked forward to the card’s picture of Dr. Koprowska and her husband on vacation in an exotic location or with their children, grandchildren and more recently, great-grandchildren. She always included a hand-written note, including this past year. I will miss receiving these cards. The ASC’s Diamond Anniversary is an opportunity for us all to reflect on the history, tradition, and progress of our Society and our discipline, and to think about those who made our careers and profession possible. When officiating as the ASC President at our Meeting this year, I will certainly be thinking of Dr. Koprowska. I remember once stopping by her office at the end of the workday to drive her to one of the Philadelphia Pathology Society’s evening meetings. As I entered her office, she was sitting at her desk freshening her make-up and putting on lipstick for the event, and she turned to me and said “Lydia, when going to a meeting with your male colleagues, always look your best.” At our Meeting in November, I will certainly endeavor to look my best in every way – not just in my appearance, but in professionalism and fulfilling my presidential role – in memory of Dr. Koprowska and to honor our Society and the many giants whose shoulders we all stand on. I hope that all of you will honor your mentors, too, and pass forward the torch you’ve been handed. I encourage you to share memories of those who made your career possible on this blog, or through storytelling at work with your own colleagues or trainees or when meeting old friends and new at our Meeting. The examples of others is inspiring for us all and set the stage for 60 more wonderful years for the ASC.